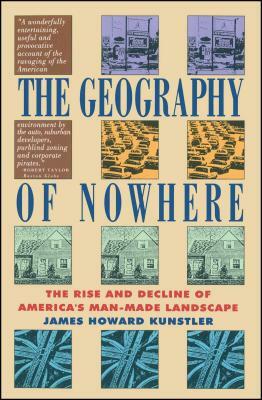 James Howard Kunstler is the author of eight novels. He has worked as a newspaper reporter and an editor for Rolling Stone, and is a frequent contributor to The New York Times Sunday Magazine. He lives in upstate New York. Robert Taylor Boston Globe A wonderfully entertaining useful and provocative account of the American environment by the auto, suburban developers, purblind zoning and corporate pirates. Bill McKibben author of The End of Nature A Funny, Angry, Colossally Important Tour of Our Built Landscape, Our Human Ecology. The New Yorker A serious attempt to point out ways future builders can avoid the errors that have marred the American landscape. James G. Garrison The Christian Science Monitor Contributes to a discussion our society must hold if we are to shape our world as it continues to change at a dizzying pace. Michiko Kakutani The New York Times Provocative and entertaining.